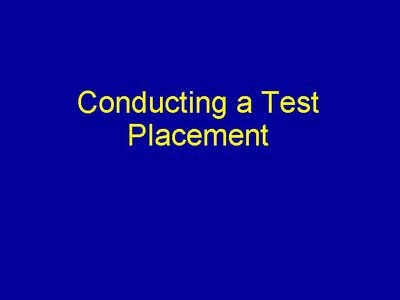 This section of the presentation discusses the importance of conducting a test placement of silica-fume concrete before the actual project placements begin. The specifications for many projects have required that such a test be conducted. This practice is particularly important if the contractor placing and finishing the silica-fume concrete does not have experience with this material.